• The art of being in the wrong place at the right time – behind the scenes of social media newsgathering: a remarkable reflection by David Crunelle from medium. • Lost in Trumplandia: the fascination remains despite the horror, the horror, so here’s a very good piece for New Republic by Patricia Lockwood, with some fine photographs by Mark Abramson. • Julius Caesar, 1908: it’s frustrating that that BFIPlayer has entirely superseded the BFI posting films to Youtube, not least because it prevents embedding, but here is a link to a wonderful silent Vitagraph condensation of Shakespeare’s play. • Rétrospective Raoul Ruiz: La Cinémathèque française has launched a great tribute to the late much-lamented director (until 30 May), and even if you can’t get to Paris for that, the trailer for it is a thing of beauty. Rétrospective Raoul Ruiz from La Cinémathèque française on Vimeo. • The unbearable sadness of Ben Affleck: the best kind of celebrity writing, by the ever-reliable Anne Helen Petersen at Buzzfeed. 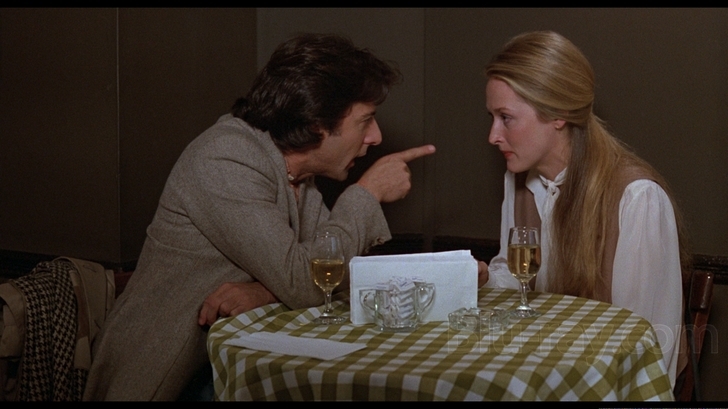 • How Meryl Streep battled Dustin Hoffman, retooled her role, and won her first Oscar: terrific Hollywood history abut (mostly) Kramer vs Kramer (1979, above) from Michael Schulman at Vanity Fair. • What long takes can’t do: a very good video essay on the limitations of the long take from ‘Now You See It’. • The Night Manager, shaken not stirred: thoughtful analysis of what the serial means for the BBC from Theo Tait at Sight & Sound. • Is Friends still the most popular show on TV? : thoughts on the 20-year-old sitcom from Adam Sternbergh at Vulture. • The story of TV graphics: from Scott Barber at LinkedIn. • Whatever happened to in-yer-face theatre: a richly interesting essay by Aleks Sierz on the last decade and more of British theatre (via Billy Smart). • ‘To see Bacon’s entire oeuvre is a revelation’: Martin Harrison at Apollo reflects on his 11 years compiling the Francis Bacon catalogue raisonné. • Trial and eros: at Bookforum, Cynthia Carr on Robert Mapplethorpe’s archive. • The craving for public squares: Michael Kimmelman for The New York Review of Books. • The digital in the humanities – an interview with Franco Moretti: the first of a series of interviews by Melissa Dinsman about the rapidly emerging field of Digital Humanities, via LA Review of Books. ADAPTATION.’s Anomalies from Jason Mittell on Vimeo. A video essay by Jason Mittell is cause for celebration in and of itself, not least because it is based on the 2012 Spike Jonze movie. But this is fascinating too because it is embedded here in an issue of [in]Transition, with Mittell’s creator’s note and two detailed responses, from Kevin Ferguson and Adrian Martin. Plus, the key text from which it draws some of its thinking, Mikhail Iampolski’s The Memory of Tiresias: Intertextuality and Film, can be found in a freely accessible online edition here from University of California Press.